Shilpa manages and implements Global Pro Bono programs in India. 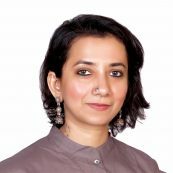 She has 10 years of experience working in the nonprofit sector across India and in the United States. Prior to joining PYXERA Global in August 2017, she spent six years working as Program Supervisor for the Family Treatment & Rehabilitation Department of the Women's Prison Association (WPA) in New York City. Shilpa has experience in managing and leading teams and received a Masters degree in Social Work from New York University.